MoneyGram, a global provider of money transfer and payment services, has announced that it is to sponsor the Men’s EHF EURO 2016. In a deal brokered by Infront Sports & Media, the EHF’s media and marketing partner for the EHF EURO events, the company is to join other high profile brands already confirmed. The event’s official sponsors include: AJ (mail order office furniture, materials handling and storage solutions), BAUHAUS (workshop, house and garden specialist), engelbert strauss (workwear), Grundfos (leading pump manufacturer), Intersport (sporting goods retailer) and VELUX Group (roof windows). The rights package for MoneyGram includes strong brand positioning in camera view around the court through advertising sequences on LED boards, floor stickers and static boards behind the goal. Furthermore, MoneyGram will take advantage of full activation rights as well as a hospitality contingent and tickets. Juan Agualimpia, MoneyGram’s Chief Marketing Officer, said: “At MoneyGram, we have a firm belief that all sports have the ability to bring friends and loved ones closer, much like our affordable and timely money transfers, and the 2016 European Handball Championship is no exception. EHF EURO 2016 will take place in Krakow, Katowice, Wroclaw, and Gdansk. 48 matches between 16 national teams will be played over a two-week period. 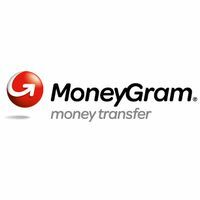 More information about MoneyGram International, Inc. is available at moneygram.com.